Welcome to the Inn at Narrow Passage! Historic lodging with five acres on the Shenandoah River, two miles south of Woodstock, just off I-81. Site of Indian attacks in the 1700s and Stonewall Jackson's headquarters during the Civil War. Twelve rooms with queen beds, private baths, fireplaces, and the atmosphere of colonial times. 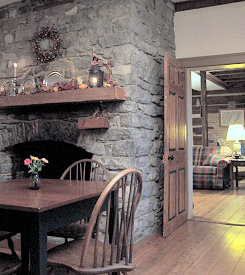 Common rooms with fireplaces, log walls, and gleaming pine floors. Full breakfast included. Rates from $120-$165 for two. Fishing just a short walk from the door! Vineyards, caverns, hiking, horseback riding, historic sites and battlefields nearby. Fine restaurants for lunch and dinner minutes away. 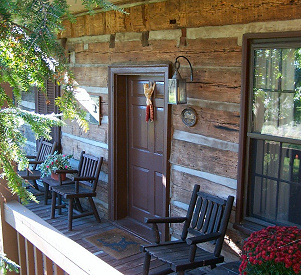 This and other Woodstock Virginia Bed and Breakfast Inns can be found here online in The Register.